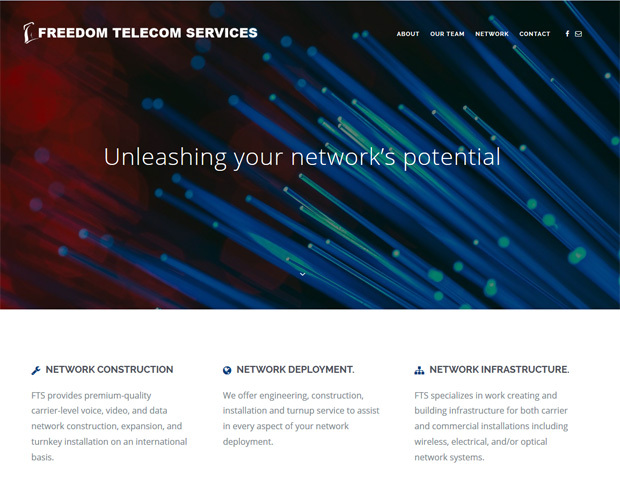 Freedom Telecom Services, Inc. is a regional, wholesale carrier specializing in providing high speed, low latency point to point transport in rural and undeserved markets. All of our network is constructed with SMF-28 ULL fiber, to deliver the lowest attenuation possible, with improved OSNR, improved BER, and reduce the need for amplification. We are here to take you places that fiber has never been before, at speeds you have never seen before.